Charoen Pokpand Feedmills Sdn. Bhd. Ideal Multifeed (M) Sdn. Bhd. Sin Heng Chan (M) Bhd. Gim Him Feedmill Sdn. Bhd. Gold Coin (M) Sdn. Bhd. Johor Bharu Flour Mill Sdn. Bhd. Sin Hen Feedmills Sdn. Bhd. Sin Heng Chan (East Cost) Sdn. Bhd. Ang Hock Stockfeeds Mfg. Sdn Bhd. Anglo- Malayan Trading Co. Sdn. Bhd. Leong Huat Farming Sdn. Bhd. Liang Teik Trading Co Sdn. Bhd. Soon Soon Oil Mills Sdn. Bhd. Teoh Huat Feedmill Sdn. Bhd. Tong Giap Feedmills Sdn. Bhd. Zue Guan Feedmills Sdn. Bhd. Dindings Soya & Multifeed Sdn Bhd. 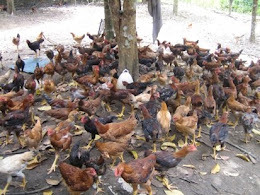 KFC Integrated Poultry Industry Sdn. Bhd. Yee Lee Feed Mill Sdn. Bhd. Fedflour Trading (Sabah) Sdn. Bhd. Sabah Flour & Feedmill Sdn. Bhd. Gold Coin (Sarawak) Sdn. Bhd. Heng Feng Industrial Sdn. Bhd. Redflour Trading (Sarawak) Sdn. Bhd. Sarawak Fodder Co. Sdn. Bhd. Tong Kwong Feedmills Co. Sdn. Bhd.